After eights are normally purchased as a bit of a Christmas tradition here at Foodstuff Finds. They are nice and minty and have a good refreshing flavour, they are remarkably moreish and there is nothing more disappointing than looking through the box to find it is just filled with empty wrapper sleeves other people have left! Anyway the brand has diversified and released these new desserts based of the famous chocolates and I couldn’t wait to given them a try. Oddly enough the chocolate layers in them isn’t a sauce but a solid. It breaks easily, but it did remind me of Viennetta in that respect. The picture on the front of the packaging shows neat balanced layers of dark chocolate, in reality it was a bit more haphazard and uneven than that. 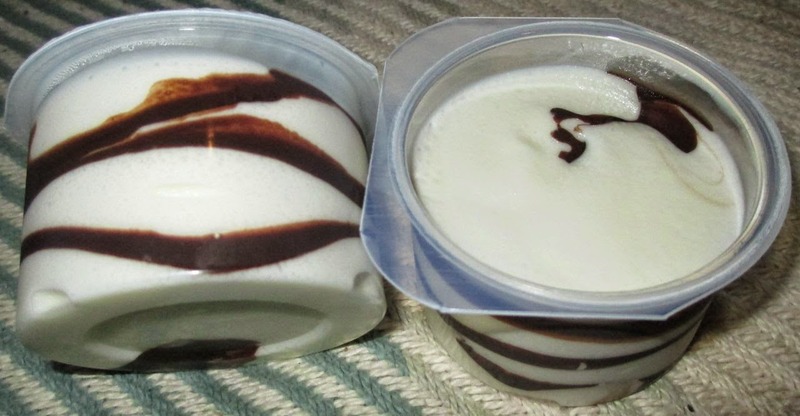 The mousse is minty flavoured, but it is far too mild. It doesn’t have a kick of peppermint just a slight refreshing hint and nice bit of sweetness. Now the chocolate sounded like a nice idea, but in reality it started to bug me. All the chocolate layers were stuck to the sides of the pot, making it actually very difficult to get all the contents out. I found heavy scraping essential, and a bit disappointing. The chocolate too didn’t have much flavour, it looked dark but didn’t deliver a strong cocoa hit, just a mild chocolate flavour. 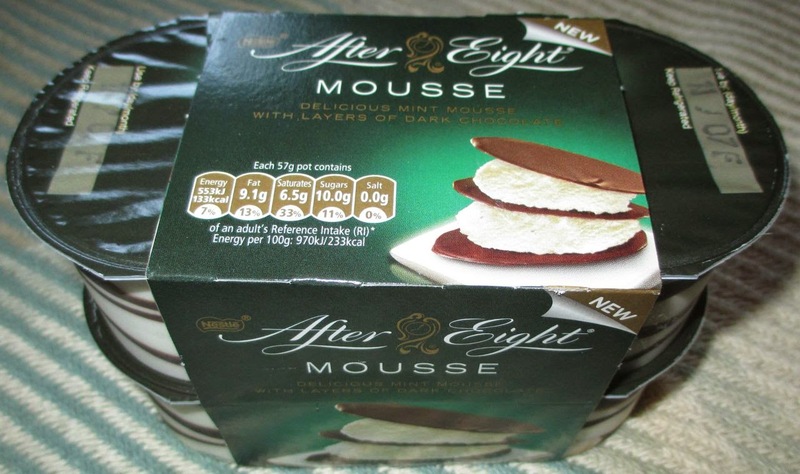 There is nothing offensive about the After Eight Mousses, but in terms of delivery there just isn’t anything magical there either. They are ok, but I’d rather have a box of After Eights if truth be told!